Reservations for a fishing season 2019. are currently in progress. Click here to book your dream fishing tour now! If it’s a unique fly fishing adventure that you’re looking for, then Delta is the company for you. We offer some of the most wanted guided fly fishing trips in the Europa on famous Bosnia rivers. We take pride in our guides, accommodations and customer service. Whether you are looking to book a corporate event or a private vacation, Delta will help you to book your perfect customized trip. Doesn’t matter if you are seasoned angler or beginner to the sport, we have fun, memorable fishing experiences to offer people of all ages and abilities. On our trips we practice catch and release fly fishing with barb-less hooks. If we want to catch fish in the future we need to release the fish we catch today. The amount of permits that we hold, and the variety of water they represent, allows our award winning guide staff to put you on the hottest action, no matter what time of year. 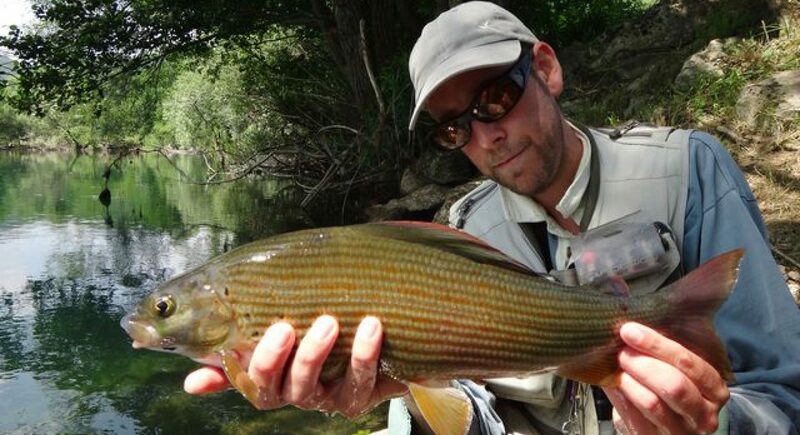 The Delta Fly Fishing Guide Service operates in north-west part of Bosnia and Herzegovina on six rivers. Our headquater is in Kulen Vakuf, small peaceful willage, located at bank of Una river, where is one of the best spot for grayling fishing. If you are planning on arriving with a personal vehicle, you may use the Michelin service (http://www.viamichelin.com/); please choose Bihac or Kljuc as your destination parameter, depending on you favored fishing destination. If you are planning on arriving via air, the best options are the airports in Zagreb, Zadar or Split. All three destinations allow bookings through Ryan Air, Germanwings, etc. with the option of booking cheap flights. We can also pre-arrange a rent-a-car service to await you at any of these airports at any time. Visa requirements: Visa is not required for citizens of EU countries, Iran, Japan, Canada, Qatar, Kuwait, U.S.A., Tunisia, Vatican, Switzerland, Bahrain, Malaysia, Russian Federation, Croatia, Macedonia, Saudi Arabia, Serbia, Montenegro, Turkey, and United Arab Emirates. All others are obliged to obtain visa for entering Bosnia and Herzegovina. Visas are to be issued by diplomatic and consular missions abroad.